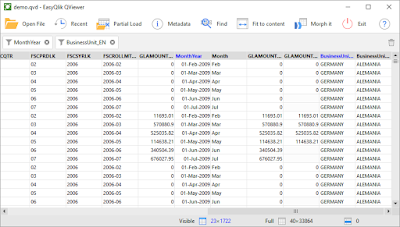 The headline feature of the new version is the ability to filter tables in the Qlik fashion using listboxes. 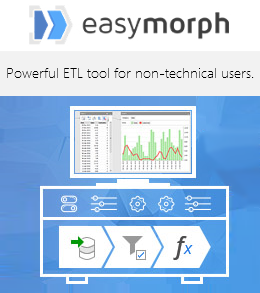 Applied filters can be seen in the filter bar that appears above the table (see screenshot above). When a selection is made, value counters update automatically. The green bar charts behind the counters hint at current selection count vs total count ratio. Note that nulls are also selectable. It is now possible to search for a value in entire table. 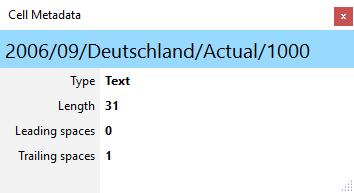 Current selection becomes limited to only rows where the searched value is found. Full table search is basically another kind of filter. When it's applied, it can be seen in the filter bar. 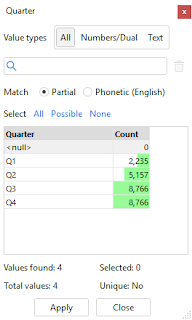 The full-table search and the listboxes allow looking up values by matching them phonetically. This is helpful when you don't know for sure the spelling of a word in question. For instance, if you search for "Acord" values "Accord", "Akord", "Akkort" will match. Phonetic search works for whole words only. 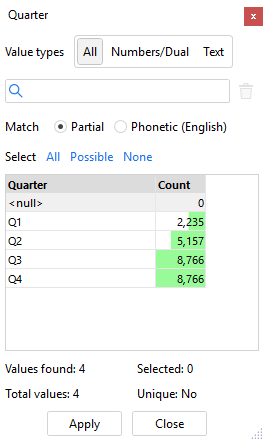 Currently, only English phonetic matching is supported. 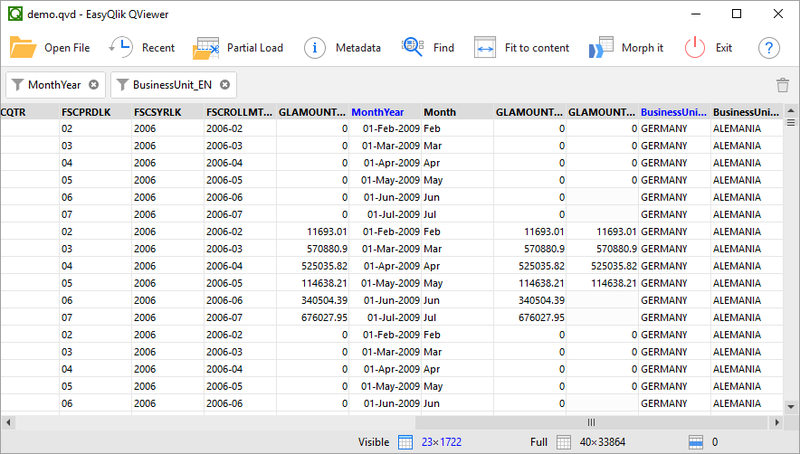 You can view additional metadata of a value in question using Cell Metadata floating window. 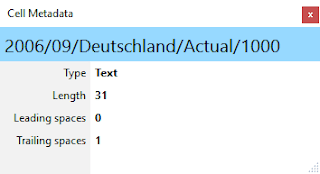 This is particularly helpful for easy detection of leading and trailing spaces in text values. The new version requires upgrading license keys. All license keys purchased after 1st of August, 2015 will be upgraded for free. License keys purchased prior to that date are upgraded at 50% of the current regular price. To upgrade a license key please send me your old key and indicate the email address it is linked to.